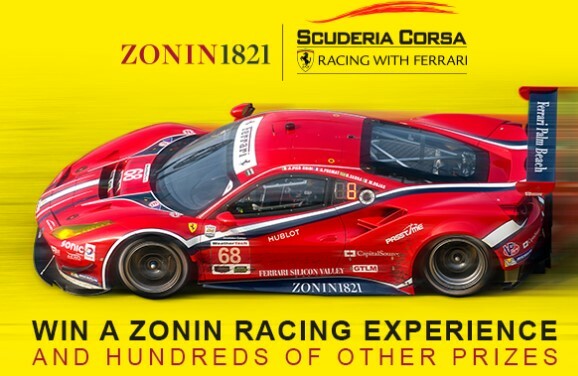 Zonin Wines has your shot at entering daily to win great instant win prizes or the grand prize racing experience trip to California where you'll get to learn how to drive a race car, from the pros! GRAND PRIZE (1): One (1) Grand Prize will be awarded which will consist of the following: Two (2) VIP Passes (for winner and one (1) guest) for a California On Track Experience. The Approximate Retail Value (“ARV”) of all Grand Prizes is $6,000.00. SWEEPSTAKES RUNNER-UP PRIZE (1): One (1) Runner-Up Prize will be awarded will be awarded which will consist of the following: Two (2) VIP Passes (for winner and one (1) guest) to an Atlanta Race. The ARV all Runner-Up Prizes is $3,000.00. HINT: You are actually permitted to play THREE times a day and you can find free codes on their Facebook page and more. Here's one to get you started 5TX99A3TQ5JZTWA. See the rules for details.